The previous excerpt of my upcoming book hopefully accurately captured the essence of golf, what makes it such a singular sporting activity, and why both versions of golf share the remarkable qualities. Next up is a point-by-point discussion of where the two sports are starkly different, and why those differences position disc golf as the golf of the future. Today the discussion focuses on the economics of golf and disc golf. For all but maybe five percent of the world’s population, cost alone is a nearly insurmountable barrier. Even leaving out of the discussion those hundreds of millions in developing and/or impoverished countries for whom any leisure activity will never be a consideration during their lifetimes, golf simply costs too much. Even in the most prosperous countries, $50 for an afternoon of recreation is too expensive for an average member of the population. In countries like Thailand, where total average annual income in U.S. dollars is less than $5,000, it’s not even an option for anyone but the richest of the rich. Golf equipment is an additional, but no less insurmountable, part of the economic roadblock for those who may wish to play. A new set of clubs today runs from $150 on the low end to thousands of dollars for a top name brand set, and possibly tens of thousands for a set that is custom-fitted to the player. Then there is the ongoing cost of balls, which averages about $20-$25 per dozen. Even the most skilled players need to replenish their stock over time, and for the majority of players (whose frequent errant shots are often never found or end up in water) balls are a big part of the ongoing price tag of golf. And then there are the little extras. Things that are not absolutely necessary to play the game but which most players end up purchasing at some point. Golf shoes, which many would say are necessary, cost anywhere from $40 to $250. Gloves are another $10-$40 each. The list could go on, with rangefinders costing $200, and pricey golf attire so a player can”look the part” and fit in playing a sport with opportunities to demonstrate one’s financial status are numerous. But right now, we’re talking about what a person needs to pay out to take up and play the game. For some perspective, consider a question asked and answered on the Yahoo! Answers website. I started in July 2007, between games and equipment, I spent $1300 plus. I play on public courses, I bought what is called a Trail Pass in our area which gives a reduced rate at different courses. I bought a starter set of clubs which were the last set at a small golf store. I got them for half price. If there is an Academy in your area, you can get 75 reload golf balls for less than $20. You will (lose) a lot of balls in the (beginning) so don’t pay a lot for them. You can save on lessons if you get a friend to take them with you. The pros usually have a group rate. As for clothes, wear collared shirts and non-denim shorts you may already have. Last year, I upgraded my clubs, bought another trail pass and a promotion offer at another course, played about 60 times and spent around $2550. Mid-range clubs: about $700. Mid-range golf balls: $25 per box. Greens fees $60 per round, $15 for cart if you want one. Clothing, $60-80 for collared shirt and pants/shorts. Memberships to private clubs cost a lot, it could be (more than) $10,000 just to join ,plus monthly fees, but public courses are charged per round. While these totals don’t completely price everyone out of the option to play golf — especially in the United States — they are high enough to be prohibitive for a large majority and at least a major consideration for nearly all of us. When it comes to the monetary cost of playing a sport, traditional golf is at the high end of the spectrum and disc golf is at the opposite end. In fact, disc golf is not only inexpensive in comparison to ball golf, but in comparison to nearly all other sports as well. Pretty much anyone that wants to play disc golf can find a way to cover the minimal cost. One of the big reasons is the majority of disc golf courses around the world are free to play. No charge whatsoever. According to online course directory Disc Golf Course Review, as of August 2012, 3,420 of the 3,951 courses listed have no fees. That’s 87 percent. The comparison between the cost to play the average disc golf course and the typical golf course is obviously no comparison. But how does disc golf rank with other popular recreational sports? It’s hard to beat free. Public tennis courts are usually free but limited. Team sports normally require seasonal fees to cover the costs of field maintenance, officiating, and administration. Pick-up basketball is a notable exception — but like tennis — supply can be quite limited. Ever hear the term “I got next?” Downhill skiing is right up there with ball golf in terms of both the cost to use the facility and the equipment cost — and it requires a snow-covered mountain. It’s hard to think of any sport that is more affordable than disc golf in terms of course costs. And unlike ball golf, certainly, and most other sports as well, even the equipment is within practically everyone’s budget. Aside from the course, the only specialized equipment one needs is a few discs. Disc golf discs — quite different from the Frisbee-style flying discs used for playing catch — cost between $8 and $20 new, but used discs can be purchased for even less than that. As far as the money it takes to play disc golf, that’s all that’s required. Certainly the rise in popularity for disc golf has spawned specialized disc golf bags, apparel, and various accessories, but none are required to be able to play the game. You can wear whatever you want on any course you play, use whichever pair of shoes suit the terrain best, and use whatever carrying case is handy to hold your discs. Coming soon: Time requirements, level of difficulty and environmental impact. Jack Trageser is the founder of School of Disc Golf and the instructional editor at RattlingChains.com. You can reach him at jack@schoolofdiscgolf.com. Disc golf reaches a ‘tipping point’ in terms of popular opinion, triggered by either a critical mass of popular culture/media recognition or a handful of random watershed moments. For instance, if a super-famous person suddenly lists disc golf as their favorite activity, or a TV show, website, or publication with millions of fans features it prominently. Disc golf, by retaining the essence of traditional golf while eliminating ALL the barriers, enables everyone to experience the greatness of golf. Beginning here, I’m going to post excerpts of the current draft of the first chapter, in hopes of soliciting your feedback. Let me know what you think. Challenge my ideas and facts. Suggest points I may have missed. If you’re reading this, chances are pretty good we share a common goal: Letting the rest of the world in on a secret we’re all too happy to share. Arnold Palmer said “Golf is deceptively simple and endlessly complicated, it satisfies the soul and frustrates the intellect. It is at the same time rewarding and maddening — and it is without a doubt the greatest game mankind have ever invented.” Palmer – one of the most famous players and promoters in the history of the game – was right, to a point. Anyone who has played competitive golf knows that to be – figuratively, at least – all too true. Golf has a rulebook thicker than a Porterhouse steak, yet requires no referee, umpire or judge. Players are expected to officiate their own matches. Unlike baseball, about which many players have said ‘If you ain’t cheatin’ you ain’t tryin’,’ golf is linked to a sense of personal honesty and integrity. In the business world it’s often said ‘If you want to get to know what someone is really like, take ’em golfing.’ The implication being, of course, that if a person observes the rules and maintains his composure while playing as difficult and often maddening a sport as golf, he’ll do likewise elsewhere. In the literal sense, golf is played on an expansive course that traverses miles of terrain- another factor that makes it a special and unique sport. Consider the fact that alone among the major popular spectator sports a golf competition cannot be viewed in it’s entirety by sitting or standing in one place. This is important because also unlike other major sports, it’s growth and eventual place among the world’s most recognized sports is due more to its popularity as a sport to be played rather than a sport to be watched. In an effort to stem the tide, Nicklaus has advocated and even experimented with events that have less holes, strict time limits, and even holes in the ground that are twice the normal width. An examination of the facts make it obvious why so many are concerned for the future of the game, but perhaps the solution is a version of golf that retains all that is great about the game while addressing it’s shortcomings in a more drastic, fundamental way. That’s just a little taste. The next posted excerpt will appear soon, and it’ll begin to discuss the drawbacks/barriers of traditional golf and counter them with corresponding strengths of disc golf. If you’re interested in helping to promote the book when it comes out, email me directly at jack@schoolofdiscgolf.com. To those around the world that have already contacted me, thanks! I’m trying to come up with some novel ideas for getting it noticed by the non-disc golfing public, and any suggestions are very welcome. The day disc golf finally goes viral is . . . not here yet. But like a geologist who observes trends and predicts a major earthquake will occur in an area with no seismic history, I believe it will. Many share my belief, but few agree with my vision of how it will happen and what disc golf’s future potential can be. Those on the inner circle of professional disc golf — and their small but intensely loyal pack of fans — seem to think a major sponsor will come along and bankroll the professional tour, making televised tournaments a reality, thus creating legions of new players and courses. This is a romanticized vision based more on hopes and dreams than any historical sports precedent, and I feel it is completely backwards. Corporations are about two things — making money and, if public, increasing share price. They just don’t sink major sponsorship money into anything until they can see that it will draw a measurably significant audience and therefore improve their bottom line. By this yardstick disc golf is no where close. My posts also appear on the premier disc golf golf blog, Rattling Chains, and I asked founder P.J. Harmer to run last week’s poll question, ‘How did you get introduced to the game’ for this precise reason. The results were just as I predicted — 67 percent said they learned of the sport through a friend, and exactly zero responded that they learned of it through some form of media. Disc golf has grown steadily over four decades almost entirely through grassroots efforts — in my mind a testament to its very substantial and enduring attractions — but also a reality check in terms of where we’re at in the overall public consciousness. Grass grows slowly but steadily. Inexorably. Viral growth is something that builds swiftly, like wildfire, and is just as impossible to ignore. After more than 20 years of observing and participating in all aspects of the game, I feel disc golf must reach a critical mass as a recreational participant sport before it can even dream of attaining any significance as a spectator sport. And, frankly, that’s the main thing I personally care about anyway. I want as many people as possible to become aware of this nearly perfect sporting activity. I feel a moral obligation to share the message of disc golf — how it provides all that is great about the game of traditional golf while removing that sport’s many barriers (cost, time, difficulty, environmental impact, exclusivity) — with people around the world. Further, it is my sincere belief that if someone knows all the nuances of and details of the above statement, there is a good chance they’ll give the game a try. And if they try it, we all know a majority will like it and some will love it. Most people who have a vague idea of disc golf have a simplified notion of the sport, and that has to change. If you agree with my position, or if you simply want disc golf to go viral and don’t care how it happens, I have a proposition for you. I’m working on a book that will hopefully lay out the message I just described as a compelling, detailed argument on multiple fronts. It’s already more than halfway complete. The intended audience are the millions of people out there that would fall in love with our sport if they could understand why we love it. They need to know that there is a complex, yet simple activity that provides so much entertainment, and competition, and exercise, and fellowship — at practically no cost. Writing the book is only a small part of the plan, and that’s where you come in. My hope is the book will be the spark that helps disc golf go viral. And for that to happen, I’m going to need help. I want an army of DISCiples to use the book as a tool for the greater purpose. How exactly that can happen — besides the obvious social media and old school word-of-mouth methods — I’m not yet sure. But I’m open to suggestions, and have begun to build a database of people who feel as strongly as I do about disc golf and want to be part of it all. Please contact me directly at jack@schoolofdiscgolf.com with any and all input. And since I realize rational thinking individuals would want to know more about the contents of the book before seriously considering to help promote it, I’m going to begin posting excerpts here and at schoolofdiscgolf.com. Look for the first to appear in the very near future. 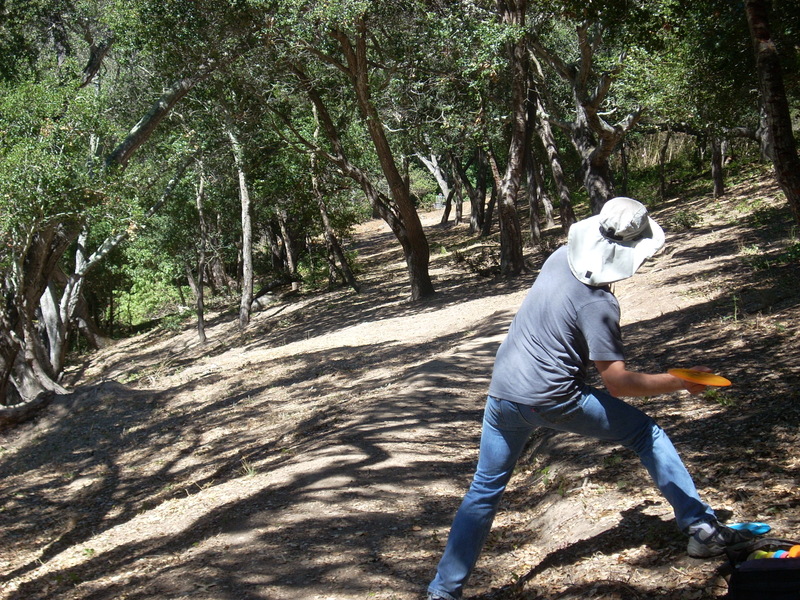 No one knows when or how disc golf will go viral, but wouldn’t it be fun to part of it?